Swan Lake (Russian: Лебединое Озеро, Lebedínoye Ózero) is a ballet, op. 20, by Pyotr Ilyich Tchaikovsky, composed 1875–1876. The scenario, initially in four acts, by Vladimir Begichev and Vasiliy Geltser was fashioned from Russian folk tales as well as an ancient German legend. It tells the story of Odette, a princess turned into a swan by an evil sorcerer's curse. The choreographer of the original production was Julius Reisinger. The ballet received its premiere on February 20, 1877, at the Bolshoi Theatre in Moscow as The Lake of the Swans. Although it is presented in many different versions, most ballet companies base their stagings both choreographically and musically on the 1895 revival of Marius Petipa and Lev Ivanov, first staged for the Imperial Ballet on January 15, 1895, at the Mariinsky Theatre in St. Petersburg, Russia. For this revival, Tchaikovsky's score was revised by the St. Petersburg Imperial Theatre's chief conductor and composer Riccardo Drigo. Many critics have disputed the original source of the Swan Lake story. The Russian ballet patriarch Fyodor Lopuokhov has called Swan Lake a "national ballet" because of its swans, who originate from Russian lyrically romantic sources, while many of the movements of the corps de ballet originated from Slavonic ring-dances. According to Lopukhov, "both the plot of Swan Lake (despite the fact that it is based on German source), the image of the Swan and the very idea of a faithful love are essentially Russian". The libretto is based on a story by the German author Johann Karl August Musäus, "Der geraubte Schleier" (The Stolen Veil), though this story provides only the general outline of the plot of Swan Lake. The Russian folktale "The White Duck" also bears some resemblance to the story of the ballet, and may have been another possible source. The contemporaries of Tchaikovsky recalled the composer taking great interest in the life story of Bavarian King Ludwig II, whose tragic life had allegedly been marked by the sign of Swan and who—either consciously or not—was chosen as the prototype of the dreamer Prince Siegfried. The origins of the ballet Swan Lake are rather obscured, and since there are very few records concerning the first production of the work to have survived, there can only be speculation about who the author of the original libretto was. The most authoritative theory appears to be that it was written by Vladimir Petrovich Begichev, director of the Moscow Imperial Theatres during the time that the ballet was originally produced, and possibly Vasily Geltser, Danseur of the Moscow Imperial Bolshoi Theatre. However, Geltser was in all probability merely the first person to copy the scenario for publication, as a surviving copy bears his name. Since the first published libretto of the ballet and the actual music composed by Tchaikovsky do not correspond in many places, we may infer that the first actual published libretto was possibly crafted by a newspaper writer who had viewed the initial rehearsals, as new productions of operas and ballets were always reported in the newspapers of Imperial Russia, along with their respective scenarios. According to two of Tchaikovsky's relatives—his nephew Yuri Lvovich Davydov and his niece Anna Meck-Davydov—the composer had earlier created a little ballet called The Lake of the Swans at their home in 1871. This ballet featured the famous leitmotif known as the Swan's Theme (or Song of the Swans ). Begichev commissioned the score of Swan Lake from Tchaikovsky in 1875 for a rather modest fee of 800 rubles, and soon Begichev began to choose artists that would participate in the creation of the ballet. The choreographer assigned to the production was the Czech Julius Reisinger (1827–1892), who had been engaged as balletmaster to the Ballet of the Moscow Imperial Bolshoi Theatre (today known as the Bolshoi Ballet) since 1873. It is not known what sort of collaborative processes were involved between Tchaikovsky and Reisinger. It seems that initially Tchaikovsky worked without complete knowledge of Reisinger’s specific requirements. Tchaikovsky likely had some form of instruction in composing Swan Lake, as he had to know what sort of dances would be required. But unlike the instructions that Tchaikovsky received for the scores of The Sleeping Beauty and The Nutcracker, no such written instruction is known to have survived. When Reisinger began choreographing after the score was completed, he demanded some changes from Tchaikovsky. Whether by demanding the addition or removal of a dance, Reisinger made it clear that he was to be a very large part in the creation of this piece. Although the two artists were required to collaborate, each seemed to prefer working as independently of each other as possible. Swan Lake was the first ballet set to the score of a symphonic composer. From around the time of the turn of the 19th century until the beginning of the 1890s, scores for ballets were almost always written by composers known as "specialists": composers who were highly skilled at scoring the light, decorative, melodious, and rhythmically clear music that was at that time in vogue for ballet. Tchaikovsky studied the music of these "specialists", such as the Italian Cesare Pugni and the Czechoslovakian Léon Minkus, before setting to work on Swan Lake. Tchaikovsky had a rather negative opinion of the "specialist" ballet music until he studied it in detail, being impressed by the nearly limitless variety of infectious melodies their scores contained. Tchaikovsky most admired the ballet music of such composers as Léo Delibes, Adolphe Adam, and later, Riccardo Drigo. He would later write to his protégé, the composer Sergei Taneyev, "I listened to the Delibes ballet 'Sylvia'...what charm, what elegance, what wealth of melody, rhythm, and harmony. I was ashamed, for if I had known of this music then, I would not have written 'Swan Lake'". Tchaikovsky most admired Adam's 1844 score for Giselle, which featured the use of the technique known as leitmotif: associating certain themes with certain characters or moods, a technique he would use in Swan Lake, and later, The Sleeping Beauty. Tchaikovsky drew on previous compositions in for his Swan Lake score. He made use of material from The Voyevoda, an opera that he had abandoned in 1868. The Grand adage (a.k.a. the Love Duet) from the second scene of Swan Lake was fashioned from an aria from that opera, as was the Valse des fiancées from the third scene. Another number which included a theme from The Voyevoda was the Entr'acte of the fourth scene. By April 1876 the score was complete, and rehearsals began. Soon Reisinger began setting certain numbers aside that he dubbed "unsuitable for ballet." Reisinger even began choreographing dances to other composers' music, but Tchaikovsky protested, and his pieces were reinstated. Tchaikovsky’s excitement in creating Swan Lake is evident based on the quick speed with which he composed. Commissioned in the spring of 1875, the piece was created within one full year. Respectively, he created scores of the first three numbers of the ballet, then the orchestration in the fall and winter, and was still struggling with the instrumentation in the spring. By April 1876, the work was fully completed. Judging upon Tchaikovsky’s mention of a draft, the presence of some sort of abstract would be plausible. However, no such draft has ever been seen. 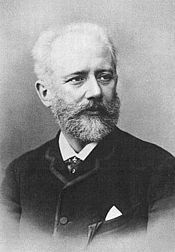 Tchaikovsky wrote various letters to friends expressing his longstanding desire to work with this type of music, and his excitement concerning his current stimulating, albeit laborious task. Adelaide Giuri as Odette and Mikhail Mordkin as Prince Siegfried in Aleksandr Gorsky's staging of the Petipa/Ivanov Swan Lake for the Bolshoy Theatre, Moscow, 1901. A young Vera Karalli is seen kneeling. The premiere of Swan Lake on March 4, 1877, was given as a benefit performance for the ballerina Pelageya Karpakova (also known as Polina Karpakova), who performed the rôle of Odette, with the Bolshoy Theatre's Premiere Danseur Victor Gillert as Prince Siegfried. Karpakova likely also danced the part Odile, although it is not known for certain. The Russian ballerina Anna Sobeshchanskaya—for whom the original (1877) rôle of Odette was intended—was pulled from the premiere performance when a governing official in Moscow complained about her, stating that she had accepted several pieces of expensive jewelry from him, only to then marry a fellow danseur and sell the pieces for cash. Sobeshchanskaya was replaced by Pelageya Karpakova who danced the rôle of the Swan Queen until the former was reinstated by Petipa. The premiere was not well-received, with near unanimous criticism concerning the dancers, orchestra, and décor. Unfortunately Tchaikovsky's masterful score was lost in the debacle of the poor production, and though there were a few critics who recognized its virtues, most considered it to be far too complicated for ballet. Most of the critics were not themselves familiar with ballet or music but rather with spoken melodrama. Critics considered Tchaikovsky's music "too noisy, too 'Wagnerian' and too symphonic". The critics also found fault with Reisinger's choreography which they thought was "unimaginative and altogether unmemorable". The production was unsuccessful due to several reasons. The German origins of the story of Swan Lake were "treated with suspicion while the tale itself was regarded as 'stupid' with unpronouncable surnames for its characters". The dancer of Odette (and probably Odile though this has never been proved for certain) was a secondary soloist and "not particularly convincing"
"The poverty of the production, meaning the décor and costumes, the absence of outstanding performers, the Balletmaster's weakness of imagination, and, finally, the orchestra...all of this together permitted (Tchaikovsky) with good reason to cast the blame for the failure on others." Though the original composition of Swan Lake was initially received negatively, with audiences and critics claiming that the music was too complex to be a ballet piece, currently the work is seen as one of Tchaikovsky’s most valuable, and surged him into the realm of the most important ballet composers. Furthermore, this piece marked the first introduction of a character that would become a recurring theme throughout the rest of Tchaikovsky’s compositions. His character Odette was the first of many female characters condemned to suffering, woven in a story of mishaps and unavoidable unhappiness. This could be a testament to his inner emotional struggle concerning his neglect of his homosexuality, in favor of publicly accepted relationships with females. This obligation to disregard his personal desires in order to please the public caused inner turmoil, and he seems to have used these ill-fated female characters as an outlet for his frustrations. In spite of the poor reaction to the premiere, the ballet nevertheless continued being performed. On April 26, 1877 the prima ballerina of the Moscow Imperial Bolshoi Theatre Anna Sobeshchanskaya made her début as Odette/Odile in Swan Lake, and from the start she was completely dissatisfied with the production of the ballet, but most of all with Reisinger's choreography and Tchaikovsky's music. Sobeshchanskaya travelled to St. Petersburg to have Marius Petipa—Premier Maître de Ballet of the St. Petersburg Imperial Theatres—choreograph a new pas de deux to replace the Pas de six that functioned as the third act's Grand Pas. For a ballerina to request a supplemental pas or variation was standard practice in 19th century ballet, and often these "custom-made" dances quite literally became the legal property of the ballerina they were composed for. Petipa choreographed Sobeshchanskaya's pas de deux to music composed by Ludwig Minkus, who held the post of Ballet composer to the St Petersburg Imperial Theatres. The piece was a standard pas de deux classique that consisted of a short entrée, the grand adage, a variation for the danseur, a variation for the ballerina, and a coda. Word of this change soon found its way to Tchaikovsky, who became very angry, stating that, whether the ballet is good or bad, he alone shall be held responsible for its music. He then agreed to compose a new pas de deux for the ballerina, but soon a problem arose: Sobeshchanskaya had no reservations about performing a pas to Tchaikovsky's new music, but she wanted to retain Petipa's choreography, and she had no wish to travel to St. Petersburg again to have the Ballet Master arrange a new pas for her. In light of this, Tchaikovsky agreed to compose a pas that would correspond to Minkus' music to such a degree that the ballerina would not even be required to rehearse. Sobeshchanskaya was so pleased with Tchaikovsky's new version of the Minkus music that she requested he compose for her an additional variation, which he did. Until 1953 this pas de deux was thought to be lost, until an accidentally discovered repétitéur was found in the archives of the Moscow Bolshoi Theatre among the orchestral parts used for Alexander Gorsky's revival of Le Corsaire (Gorsky had included the piece in his version of Le Corsaire staged in 1912). In 1960 George Balanchine choreographed a pas de deux to this music for the Ballerina Violette Verdy, and the Danseur Conrad Ludlow under the title Tschaikovsky Pas de Deux, as it is still known and performed today. Julius Reisinger left Moscow in 1879, and his successor as Balletmaster was Joseph Peter Hansen. Hansen made considerable efforts throughout the late 1870s/early 1880s to salvage Swan Lake, and on January 13, 1880, he presented a new production of the ballet for his own benefit performance. The part of Odette/Odile was danced by Evdokia Kalmykova, a student of the Moscow Imperial Ballet School, with Alfred Bekefi as Prince Siegfried. This production was far more well-received than the original, though it was by no means a great success. Hansen presented another version of Swan Lake on October 28, 1882, again with Kalmykova as Odette/Odile. For this production Hansen arranged a Grand Pas for the ballroom scene which he titled La Cosmopolitana. This was taken from the European section of the Grand Pas d'action known as The Allegory of the Continents from Marius Petipa's 1875 ballet The Bandits to the music of Ludwig Minkus. Hansen's version of Swan Lake was given only four times, the final performance being on January 2, 1883, and soon the ballet was dropped from the repertory altogether. In all, Swan Lake was given a total of forty-one performances between its premiere and the final performance of 1883—a rather lengthy run for a ballet that was so poorly received upon its premiere. Hansen would go on to become Balletmaster to the Alhambra Theatre in London, and on December 1, 1884, he presented a one-act ballet titled The Swans, which was inspired by the second scene of Swan Lake. The music was composed by the Alhambra Theatre's chef d'orchestre Georges Jacoby. The second scene of Swan Lake was then presented on February 21, 1888, in Prague by the Ballet of the National Theatre in a version mounted by the Balletmaster August Berger. The ballet was given during two concerts which were conducted by Tchaikovsky. The composer noted in his diary that he experienced "a moment of absolute happiness" when the ballet was performed. Berger's production followed the 1877 libretto, though the names of Prince Siegfried and Benno were changed to Jaroslav and Zdenek, with the rôle of Benno danced by a female dancer en travestie. 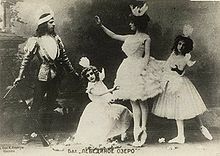 The rôle of Prince Siegfried was danced by Berger himself with the Ballerina Giulietta Paltriniera-Bergrova as Odette. Berger's production was only given eight performances, and was even planned for production at the Fantasia Garden in Moscow in 1893, but it never materialized. In February 1894, two memorial concerts planned by Vsevolozhsky were given in honor of Tchaikovsky. The production included the second Act of Swan Lake, choreographed Lev Ivanov, Second Balletmaster to the Imperial Ballet. Ivanov's choreography for the memorial concert was unanimously hailed as wonderful. The Ballerina who danced Odile was the Italian virtuosa Pierina Legnani, and it was because of her great talent that the prospected revival of Swan Lake was planned for her benefit performance in the 1894-1895 season. She had made her début with the Imperial Ballet in Cinderella, produced in December 1893 (choreographed by Marius Petipa, Lev Ivanov, and Enrico Cecchetti to the music of Baron Boris Fitinhof-Schell). Her performance demonstrated her phenomenal technique, climaxing in her variation from the final tableau no fewer than thirty-two fouettés en tournant (the most ever performed at that time) during the grand pas. The dazzled public roared with demands for an encore, and the Ballerina repeated her variation, this time performing twenty-eight fouettés en tournant. However, the death of Tsar Alexander III on November 1, 1894 and the period of official mourning that followed it brought all ballet performances and rehearsals to a close for some time, and as a result all efforts were able to be concentrated on the pre-production of the revival of Swan Lake. Ivanov and Petipa chose to collaborate on the production, with Ivanov retaining his dances for the second Act while choreographing the fourth, and with Petipa staging the first and third Acts. Tchaikovsky's younger brother Modest was called upon to make the required changes to the ballet's libretto, the most prominent being his revision of the ballet's finale; instead of the lovers simply drowning at the hand of the wicked Von Rothbart as in the original 1877 scenario, Odette commits suicide by drowning herself, with Prince Siegfried choosing to die as well, rather than live without her, and soon the lovers' spirits are reunited in an apotheosis. Aside from the revision of the libretto the ballet was changed from four acts to three—with Act II becoming Act I-Scene 2. All was ready by the beginning of 1895, and the ballet had its premiere on January 15. Pierina Legnani danced Odette/Odile, with Pavel Gerdt as Prince Siegfried, Alexei Bulgakov as Von Rothbart, and Alexander Oblakov as Benno. The premiere of the Petipa/Ivanov/Drigo was quite a success, though not as much of one as it has been in modern times. Most of the reviews in the St. Petersburg newspapers were positive. Unlike the premiere of The Sleeping Beauty, Swan Lake did not dominate the repertory of the Mariinsky Theatre in its first season. It was given only sixteen performances between the premiere and the 1895-1896 season, and was not performed at all in 1897. Even more surprising, the ballet was performed only four times in 1898 and 1899. The ballet belonged solely to Legnani until she left St. Petersburg for her native Italy in 1901. After her departure, the ballet was taken over by Mathilde Kschessinskaya, who was as much celebrated in the rôle as was her Italian predecessor. Throughout the long and complex performance history of Swan Lake the 1895 edition of Petipa, Ivanov, and Drigo has served as the version from which many stagings have been based. Nearly every balletmaster or choreographer who has re-staged Swan Lake has sought to make modifications to the ballet's scenario, while still maintaining to a considerable extent the traditional choreography for the dances, which is regarded as virtually sacrosanct. Likewise, over time the rôle of Siegfried has become far more prominent, due largely to the evolution of ballet technique. Matthew Bourne's Swan Lake departed from the traditional ballet by replacing the female corps de ballet with male dancers. Since its inception in 1995, Matthew Bourne's production has never been off the stage, somewhere in the world, for more than a few months. It has toured the United Kingdom and returned to London several times. It has been performed on extended tours in Greece, Israel, Turkey, Australia, Italy, Japan, Korea, Russia, France, Germany, the Netherlands, and the United States, in addition to the United Kingdom. The 2000 American Ballet Theatre version (taped for television in 2005), rather than having the curtain down as the slow introduction is played, used this music to accompany a new prologue in which the audience is shown how Von Rothbart first transforms Odette into a swan. This prologue is similar to the Vladimir Burmeister's production of the "Swan Lake" (firstly staged in Stanislavsky Theatre in Moscow, 1953) but has some differences. Von Rothbart in this production is played by two dancers; one appears as a handsome young man who is easily able to lure Odette in the new prologue, and the other dancer is covered in sinister "monster makeup" which reveals the magician's true self. About half-an-hour of the complete score is omitted from this production. Graeme Murphy's Swan Lake, first performed in 2002, which was loosely based on the breakdown of the marriage of Lady Diana to Prince Charles and his relationship with Camilla Parker Bowles combined rôles of Von Rothbart and Odile into that of a Baroness, and the focus of the story is a love triangle. Note: By 1895 Benno von Sommerstern became just "Benno", and Odette "Queen of the Swans". Also Baron von Stein, his wife, and Freiherr von Schwarzfels and his wife were no longer identified on the program. The sovereign or ruling Princess is often rendered "Queen Mother". Rothbart ("Redbeard") may also be spelled Rotbart. Princess Odette is a fictional character from the ballet Swan Lake. She is the lead ballerina rôle combined with Von Rothbart's daughter Odile, who is danced by the same ballerina. She also appears in many adaptations of the ballet. Odette is an enchanted princess under a spell of the evil sorcerer Von Rothbart; she has been transformed into a swan by day and can only regain her human form at night. She has many companions under the same spell, who have made her their queen, hence how she gained the title of 'The Swan Queen'. She is forced to live by a lake that was magically formed by her grieving mother's tears when Rothbart kidnapped her; Rothbart's reasons for kidnapping Odette and enchanting her are unknown in the ballet. The only way for the spell to be broken is the power of eternal love to Odette from a young man who will remain faithful to her, for if the vow of eternal love is broken, she will remain a swan forever. One day, the young Prince Siegfried ventures upon the lake while out hunting and sees Odette transform from her swan form back into her human form. He is so struck by her beauty that he falls in love with her at once and when she tells him her story, he promises to love her forever and invites her to a Royal Ball at his castle so he may choose her as his bride. They spend the night dancing together, falling more and more in love with each other until dawn breaks and Odette is forced to return to the lake as a swan, leaving Siegfried alone. Siegfried waits for Odette at the Ball and believes she has attended when two strangers arrive. But it is actually Rothbart and his daughter Odile in disguise. Rothbart has planned to trick Siegfried into breaking his vow to Odette by magically disguising Odile in Odette's shape and form. Siegfried dances with her and fails to see the real Odette appearing at the window in her swan form to warn him of Rothbart's plot and pleading with him to remain faithful to her. Rothbart's plan is a success when Siegfried declares his eternal love to Odile, thinking she is Odette and Rothbart joyfully reveals that Odette is now forever in his power. Odette flees back to the lake in distress and Siegfried follows her, begging her to forgive him, which she does but she tells him that she will never be freed from Rothbart's spell. The only way she can be freed is if she dies, for she would rather die than live without Siegfried. Siegfried cannot live without Odette and declares that he will die with her. When Rothbart appears, Odette throws herself into the lake and Siegfried follows her. In the climax of their sacrifice, Rothbart's powers are destroyed and the spell is finally broken; Odette's companions are freed from the enchantment. As the sun rises, Siegfried and Odette ascend into Heaven together, united in love for all eternity. In the 1994 animated film The Swan Princess, Odette, voiced by Michelle Nicastro, is born to King William and is expected to fall in love with Prince Derek, son of Queen Uberta. However, when the two meet as children, they do not get along. They are brought together each summer, but their parents' plans are never successful until they are young adults and they fall in love when they see how the other has blossomed since their childhood. However, Derek unintentionally insults Odette so the wedding is cancelled and she and her father leave to return home. But on the way, their carriage is attacked by a great animal, who is actually the evil enchanter Rothbart. King William is sadly killed in the attack and Odette is taken, leaving behind a swan locket that Derek had given her. Derek is devastated when he rushes to the scene and discovers Odette is gone. Rothbart takes Odette to his castle and puts her under a spell, transforming her into a swan. She can only regain her human form when the moon rises and shines upon the lake, but only until the moon sets. While under Rothbart's spell, Odette meets and befriends three animals — Jean-Bob a French frog who thinks he's a prince, Speed a friendly turtle and Puffin a determined and brave puffin. The three agree to help Odette so she and Puffin fly out to the forest to find Derek. Derek, believing they are to do with Odette's disappearance, try to shoot them but luckily they escape and lead him back to the lake just when the moon is rising. Derek nearly shoots Odette but the moon shines on the lake and she transforms back into her human form. The lovers joyfully embrace, but Odette tells Derek he cannot stay and tells him about the spell. When he asks how the spell can be broken, she explains that if he makes a vow of everlasting love and proves it to the world, the spell will be broken so Derek tells her to go to the castle the next night for a Royal Ball before returning the locket to her and leaving. However, Rothbart overheard their conversation and reveals to Odette that the night of the Ball falls on the night of the new moon, meaning that she will remain a swan for all of that night. After taking her locket, he locks Odette in the dungeons and uses his powers to give his hag companion the shape and form of Odette so he can trick Derek into pledging his vow to the wrong girl, stating that when he does, Odette will die and Rothbart will finish Derek off himself. Jean-Bob, Speed and Puffin work together to get Odette out of the dungeon and succeed, but she arrives at the Ball too late. The fake Odette is already there with the locket and Derek has fallen for Rothbart's trick. Despite Odette trying desperately to make him see her, she fails and he makes his vow of everlasting love to the wrong girl. Odette faints in despair and Rothbart arrives, revealing Derek's unfaithfulness and declaring that Odette will now die. Derek looks up at the window and sees Odette flying away. As she flies, Odette is becoming more and more weak and Derek follows her back to the lake. When she arrives back at the lake, her animal friends watch as she just barely misses falling into the lake. Just after, she collapses and then transforms back into her human form, but not before her friends find her on the ground. Derek arrives after her and finds her unconscious. She regains consciousness and tells Derek she loves him, but sadly dies in his arms. As Derek grieves, Rothbart appears and transforms into the Great Animal. He and Derek fight and Derek is successful when he shoots Rothbart with an arrow and kills him. Taking Odette into his arms again, he declares his love for her and kisses her, miraculously restoring her to life. Derek and Odette are happily married with the whole kingdom rejoicing and they take Rothbart's castle as their new home. They share a passionate kiss on a bridge with a view of the castle and the lake when Derek promises to love Odette forever more. In the 2003 direct-to-video film Barbie of Swan Lake, Odette is "played" by the Barbie fashion doll character, voiced by Kelly Sheridan. Unlike in the ballet, Odette is not a princess in this version, but a modest baker's daughter who is a talented dancer. Her father insists she should perform in public, but she constantly refuses because she doesn't feel brave enough. One day, a unicorn named Lila comes to the village and Odette follows her into an enchanted forest. When Lila gets stuck on some branches, Odette takes a crystal out of a tree to cut her loose. Odette then meets the Fairy Queen, the ruler of the forest, who tells her that the crystal she removed from the tree is a magic crystal and that whoever removes it is the one who can save the enchanted forest from the Fairy Queen's cousin, the evil sorcerer Rothbart. She explains that when the time came for their uncle the King to choose his successor, he chose the Fairy Queen instead of Rothbart. Furious, Rothbart stormed out of the forest and later returned with his wicked daughter Odile as a master of the dark arts. He began taking over the forest piece by piece, transformed the Fairy Queen's fairies and elves into animals, and forced them to build his new palace. However, after hearing this, Odette is too afraid to attempt to overcome Rothbart and refuses to help. The Fairy Queen indicates compassion for her decision, and asks Lila to take Odette home. However, Rothbart's ravens have been watching, and Rothbart arrives with Odile, corners Odette and transforms her into a swan. Lila manages to distract Rothbart long enough to help Odette fly away onto the lake. The Fairy Queen gives Odette a crown with the crystal on it, telling her that as long as she wears the crystal, she cannot be harmed. Rothbart leaves with Odile and the Fairy Queen reveals that she can partially counter the spell as she did with her fairies and elves; she is able turn Odette back into her human form, but only from sunset till dawn. Odette is determined to break the spell and the Fairy Queen tells her she can find the answer in the Book Of Forest Lore, which is guarded by a troll named Erasmus. Lila takes her to the library and although they look all night, they fail to find it so they return to the lake to rest. But while back at the lake, Rothbart lures Prince Daniel into the enchanted forest in the hopes that he will shoot Odette and kill her so that Rothbart can get the magic crystal. Daniel takes aim but repents and sees Odette transform into her human form. It is love at first sight, and she tells him her story. Rothbart appears and attempts to turn Daniel into a pig, but Odette saves him. Rothbart leaves and Odette shows Daniel the lake. They have a moonlight picnic and dance by the lake. When dawn is approaching, Daniel asks Odette to attend a Royal Ball but she is doubtful because of the elves and fairies. However, when the sun rises and Odette transforms back into a swan, she promises to attend. Erasmus finds the Book of Forest Lore and it states that only a true love will break the spell. But if the true love pledges love to another, the magic crystal will lose its power and Rothbart's spell will never be broken. Odette is nervous about attending the Ball because Daniel is a prince and she a village girl, but Lila and the Fairy Queen tell her that such things doen't matter in love. The Fairy Queen then gives Odette a beautiful swan-themed ball gown and everyone teaches her how to dance beautifully. However, just before the sun rises, Rothbart swoops down and kidnaps Erasmus along with the Book of Forest Lore. Odette and the others set out to save him and find him transformed into a worm. Back at the lake, Erasmus explains that Rothbart has read the Book of Forest Lore and will use Odile to trick Daniel at the Ball by giving her necklace the power to make everyone at the Ball see her as Odette, including Daniel. Odette flies to the castle, but Rothbart and Odile are already there. Odette is horrified to see Odile dancing with Daniel. Thinking he is dancing with Odette, Daniel proposes to Odile and declares his love for her. Odette collapses in shock and the crystal loses its powers. Rothbart reveals his trick and leaves with Odile, just as the sun sets. Odette turns back into her human form and Rothbart takes the crystal from her crown. Daniel intercedes and tries to fight him, causing him to accidentally turn Odile into a pig. The Fairy Queen arrives with Lila and two of her elves, rescues Odette and brings her back to the forest. Rothbart follows them and faces them, turning the Fairy Queen into a mouse and causing the elves to flee in fright while Lila gets her horn stuck in a tree trunk. Daniel arrives and Odette regains consciousness. When Rothbart corners Daniel at the lakeside, Odette then rushes to save him without realizing that she doesn't have the crystal and when Daniel rushes to her, Rothbart strikes them both, apparently killing them. But then the crystal begins to shine, its powers apparently restored. It overcomes Rothbart and he is defeated; all his spells are broken and his palace is destroyed. Odette and Daniel awaken again and declare their love. A celebration is held in the enchanted forest and everyone from both the forest and the village attend. Odette's father gives her to Daniel for a dance by the lake. Prince Siegfried is a fictional character from the ballet Swan Lake. He is the lead male ballet dancer rôle. Like Odette and Von Rothbart, he also appears in many adaptations of the ballet although an interesting fact of his rôle in the ballet's adaptations is that he has a different name in almost every one, but some or all of the same characteristics. Siegfried is a young Prince, full of bright spirit and enthusiasm and seems to have little interest in his rôle as a Prince. His favourite hobby is hunting and often hunts with his best friend Benno. He is celebrating his 21st birthday with his friends and tutor, but the celebrations are interrupted and almost ruined by the arrival of his mother, the Queen. After presenting him with a new crossbow, she tells him that it is time for him to settle down and marry. Siegfried, however, has no intention to marry because he is not in love and is enjoying life as it is, but his mother makes it clear that he is expected to choose a bride at an upcoming Royal Ball before she departs, leaving Siegfried depressed by what is expected of him. But suddenly, a flock of swans flies over the castle and Benno urges Siegfried to join him and their friends in a hunting expedition. 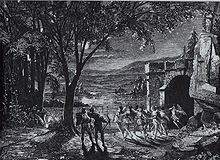 Armed with his new crossbow, Siegfried heads into the forest with Benno and their companions. Deep in the forest, Siegfried and his friends arrive at a lake and Siegfried sends his companions away. Suddenly, he spots a beautiful swan wearing a crown swimming towards the lakeside and prepares to shoot but before he can, the swan transforms into a most beautiful young girl. She is Princess Odette, the Queen of the Swans. Struck by her beauty as she is the most beautiful girl he has ever seen, Siegfried falls in love with her. Although she is terrified at first, Odette loses her fear and tells him her story, explaining that she is under a spell of the evil sorcerer Von Rothbart; she has been transformed into a swan by day and can only regain her human form at night. Her companions are also under the same spell and only a vow of eternal love to Odette will free them. When Rothbart appears, Siegfried tries to kill him but Odette intercedes, explaining that Rothbart's death will only make the spell permanent if it is not already broken. Siegfried is able to stop Benno and his other companions from shooting the Swan Maidens and sends them away so he can stay at the lake with Odette. They spend the night dancing together, falling more and more in love and Siegfried vows to love Odette for eternity, promising to save her from Rothbart's evil enchantment. He invites her to attend the Ball at his castle and promises to choose her as his bride. Odette agrees, but warns him that if his vow to her is broken, she will remain a swan forever. When dawn breaks, Odette is forced to return to the lake as a swan, leaving Siegfried alone in despair. On the night of the Ball, Siegfried is thinking of nothing but Odette. His mother introduces him to various potential brides, but he rejects them all because he is in love with Odette. He continues to wait for her and suddenly, two more guests arrive and Siegfried is joyful to see that Odette has appeared to have arrived. But the mystery guests are actually Rothbart and his daughter Odile in disguise. Rothbart has magically disguised Odile in the shape and form of Odette to trick Siegfried into breaking his vow. Siegfried dances with Odile and she completely beguiles him that he fails to see the real Odette at the window in her swan form trying warn him of Rothbart's plot and pleading with him to remain faithful to her. Siegfried falls for Rothbart's deception and pledges eternal love to Odile, thinking she is Odette. Triumphant, Rothbart reveals himself and Odile in their true forms and declares that Odette is now forever in his power. Horrified to discover that he has been tricked into breaking his promise to Odette, Siegfried flees from the Ball in search of her. Odette flees back to the lake in despair over Siegfried's betrayal. He follows her, finds her amongst her companions and begs her to forgive him, swearing that he loves her only. She forgives him, but explains that she is now under Rothbart's spell forever and the only way she can escape the enchantment is if she dies. Rothbart appears to part the lovers and reminds Siegfried of his vow to Odile. Siegfried declares he would rather die with Odette than marry Odile and a fight ensues as Rothbart tries to take Odette away. Unable to live without her Prince, Odette throws herself into the lake and Siegfried follows her. In the climax of their sacrifice, Rothbart and his powers are destroyed and Odette's companions are finally freed from the spell. As the sun rises, Siegfried and Odette ascend into Heaven together, united in love for all eternity. Von Rothbart is the central antagonist in Swan Lake. Rothbart is rarely seen in human form in most productions as he appears as an evil bird for most of the ballet. His human form is seen once in the scene with his daughter Odile, when she dances with the Prince Siegfried. Rothbart is a powerful sorcerer who turns the girl Odette into a Swan during the daylight hours and yet when the sun sets she can return to human form until day break. The reason for Rothbart's curse upon her is not known; yet several other versions of the ballet including two feature films have suggested other reasons. The story changes in each version, yet when Rothbart realizes that Odette falls in love with the Prince Siegfried he tries to intervene by tricking Siegfried into marrying his daughter Odile; the plan succeeds yet Rothbart's fate is undecided depending on the ballet. In some versions his fate is unknown and yet it is presumed that he has survived, in the original version the love of the two dying lovers breaks the spell and Rothbart is overthrown and destroyed. Rothbart's only powers displayed in the ballet are his multiple ability to change into an owl and to disguise his daughter into the looks of Odette. In the 1994 animated feature The Swan Princess he has great and varied magical abilities and often changes himself into a giant winged monster; the Barbie version he has multiple powers and changes characters and objects into animals; he also can change into an Eagle-type monster. In the second American Ballet Theatre production of Swan Lake, telecast by PBS in 2005 and now out on DVD, Von Rothbart is portrayed by two dancers. One of them depicts him as young and handsome; it is this Von Rothbart that is able to lure Odette and transform her into a swan (this is shown during the introduction to the ballet in a danced prologue especially created by choreographer Kevin McKenzie). He is also able to entice the Prince to dance with Odile, and thus seal Odette's doom. The other Von Rothbart, a repulsive, reptilian-like creature, always reveals himself only after he has accomplished an evil deed, such as transforming Odette into a swan. In this version, the lovers' joint suicide inspires the rest of Von Rothbart's imprisoned swans to turn on him and overcome his spell which ultimately kills him. In The Swan Princess, an animated adaptation of Swan Lake without Tchaikovsky's music, Von Rothbart quests to be King and needs Odette who is known to be a princess. She rejects him, for she is already in love with the Prince Derek, whom she has known since birth; Von Rothbart, not knowing of this, changes Odette into a Swan and carries her away in the night. Only through a vow of everlasting love and the destruction of the sorcerer can Odette change back. In the Swan Princess version, Rothbart uses an old hags as his aide instead of his daughter. Rothbart can also transforms into a giant winged creature known as the "Great Animal" and attacks the Prince, after a short melee, the Prince shoots him with an arrow and he collapses into the Lake dead; his powers destroyed along with him. However, his memory returns in the two subsequent sequels in which his old friend wizard and his old love both try to resurrect the Dark Arts. In another version, Barbie takes on the ballet; Rothbart changes Odette into a Swan because she is the prophesied Chosen One who will release the curse that he has placed upon the forest. To prove his powers over Odette, he changes her into a Swan but cannot harm her because of a 'Magic' Crystal. In the Barbie version he does seem to kill the lovers, but is destroyed by the Crystal's power that returns after the two prove their love. While Rothbart seems to explode he actually transforms into the bird in a cuckoo clock in a subsequent scene in which the villains of these films never seem to die. Swan Lake is generally presented in either four Acts, four Scenes (primarily outside Russia and Eastern Europe) or three Acts, four Scenes (primarily in Russia and Eastern Europe). Act 1 – A magnificent park before a castle. Swan Lake begins at a royal court. Prince Siegfried, heir to the kingdom, must declare a wife at his birthday ball. Upset that he cannot marry for love, Siegfried escapes into the forest at night. As he sees a flock of swans flying overhead, he sets off in pursuit. Act 2 – A mountainous wild place, surrounded by forest. In the distance a lake, on the right side of which are ruins. A moonlit night. A retinue of other captured swan-maidens attend Odette in the environs of Swan Lake, which was formed by the tears of her parents when she was kidnapped by von Rothbart. Once Siegfried knows her story, he takes great pity on her and falls in love. As he begins to swear his love to her—an act that will render the sorcerer's spell powerless—von Rothbart appears. Siegfried threatens to kill him but Odette intercedes. If von Rothbart dies before the spell is broken, it can never be undone. Act 3 – An opulent hall in the castle. Scene from Act 4 of Swan Lake. The Prince returns to the castle to attend the ball. Von Rothbart arrives in disguise with his own daughter Odile, making her seem identical to Odette in all respects except that she wears black while Odette wears white. The prince mistakes her for Odette, dances with her, and proclaims to the court that he intends to make her his wife. Only a moment too late, Siegfried sees the real Odette and realizes his mistake. The method in which Odette appears varies: in some versions she arrives at the castle, while in other versions von Rothbart shows Siegfried a magical vision of her. Act 4 – Same scene by the lake as in Act 2. Siegfried returns to the lake and finds Odette, where she forgives him after he apologizes intensely. Von Rothbart appears, trying to pull the lovers apart. The two realize the spell cannot be broken because of Siegfried's accidental pledge to Odile. In order to stay together, Odette and Siegfried kill themselves by leaping into the lake and drowning. This causes von Rothbart to lose his power over them, and he dies as a result. In a version which has an ending very close to the original danced by American Ballet Theatre in 2005, Siegfried's mistaken pledge of fidelity to Odile consigns Odette to eternal swanhood. Realizing that her last moment of humanity is at hand, Odette commits suicide by throwing herself into the lake. The Prince does so as well. This act of sacrifice and love breaks von Rothbart's power, and he is destroyed. In the final tableau, the lovers are seen rising together to heaven in apotheosis. In a version danced by the Mariinsky Ballet in 2006, the true love between Siegfried and Odette defeats von Rothbart, who dies after the prince breaks one of his wings. Odette is restored to human form to unite happily with the prince. This version has often been used by Russian and Chinese ballet companies. A similar ending was used in The Swan Princess. In a version danced by San Francisco Ballet in 2009, Siegfried and Odette throw themselves into the lake, as is traditional, and von Rothbart is destroyed. Two swans, implied to be the lovers, are then seen flying past the moon. The score used in this comparison is Tchaikovsky's score, which may be different from Drigo's score, which is commonly performed today. The titles for each number are taken from the original published score. Some of the numbers are titled simply as musical indications, those that are not are translated from their original French titles. The Guangzhou Acrobatic Troupe of China has made an acrobatic version of the ballet. It is widely popular, and is on tour around the world. One of the most breathtaking moves is of Odette doing a pirouette on top of Siegfried's head, without any supports. Contains Tchaikovsky's music. Swan Lake (1981): A feature-length anime produced by the Japanese company Toei Animation and directed by Koro Yabuki. The adaptation uses Tchaikovsky's score and remains relatively faithful to the story. Two separate English dubs were made, one featuring regular voice actors, and one using celebrities as the main principals (Pam Dawber as Odette, Christopher Atkins as Siegfried, Kay Lenz as Odille, and David Hemmings as Rothbart). The second dub aired on The Disney Channel in the early 1990s. It is presently distributed in France and the United Kingdom by Rouge Citron Production. The Swan Princess, (1994) a popular Nest Entertainment film, based on the Swan Lake story, stays fairly close to the original story, apart from the addition of loyal sidekicks Puffin, Speed, and Jean-Bob, and the fact that Prince Siegfried becomes Prince Derek. The Swan Princess has two sequels, The Swan Princess II: Escape from Castle Mountain and The Swan Princess: The Mystery of the Enchanted Kingdom. These three films feature none of Tchaikovsky's music. Barbie of Swan Lake (2003): A direct-to-video children's movie featuring motion capture from the New York City Ballet. Some character's names do not correspond with those in the ballet. The Princess Tutu (2003) anime frequently alludes to Swan Lake. The heroine, "Ahiru" is described by other characters as the "white swan" (Odette) while her rival, "Rue", is called a "black swan" (Odile). Furthermore, the name of the Prince (revealed at the end of the series) is Siegfried, paralleling the prince of Swan Lake. Episode 13 of the series is entitled Swan Lake ~Schwanensee~ and the score prominently features selections of Tchaikovsky's music. Disney wanted to make an animated version of the ballet, but the film was rejected. In the second season of the anime Kaleido Star, a circus adaptation of Swan Lake becomes one of the Kaleido Stage's most important and successful shows. Main character Sora Naegino (voiced by Ryo Hirohashi) plays Princess Odette, with characters Leon Oswald (voiced by Takahiro Sakurai) as Prince Siegfried and May Wong (voiced by Mai Nakahara) as Odile. A game by LucasArts entitled Loom (video game) used a major portion of the Swan Lake suite for its audio track, as well as incorporating a major swan theme into the storyline. It bore no resemblance to the original Swan Lake story. Amiri & Odette (2009), is a verse retelling by Walter Dean Myers with illustrations by Javaka Steptoe. Myers sets the story in the Swan Lake Projects of a large city. Amiri is a basketball-playing “Prince of the Night”, a champion of the asphalt courts in the park. Odette belongs to Big Red, a dealer, a power on the streets. The Black Swan (1999): A fantasy novel written by Mercedes Lackey that re-imagines the original story and focuses heavily on Odile. Von Rothbart's daughter is a sorceress in her own right who comes to sympathize with Odette. Swan Lake (1989): A children's novel written by Mark Helprin and illustrated by Chris van Allsburg, which re-creates the original story as a tale about political strife in an unnamed-Eastern European country. In it, Odette becomes a princess hidden from birth by the puppetmaster (and eventually usurper) behind the throne, with the story being retold to her child. Radio City Christmas Spectacular – The Rockettes do a short homage to Swan Lake during the performance of the Twelve Days of Christmas (Rock and Dance Version), with the line "Seven Swans A-Swimming." In the Japanese tokusatsu show Kamen Rider Den-O, the main protagonist has the ability to take different forms, based on the imagin that possess him. One of the imagin, known as Sieg, is analogous to the legend of Swan Lake, as it acts very princely when possessing Ryoutarou. Its Den-O form, known as the Wing Form, possesses a swan motif on the face plate. The henshin also appears as if a swan alighted on Den-O's mask. In Episode 213 of The Muppet Show, Rudolf Nureyev performs "Swine Lake" with a giant ballerina pig. 1976, Algis Zhuraitis (conductor), Bolshoi Ballet, Aleksandr Bogatirev, Maya Plisetskaya (centennial anniversary performance). ^ Kant, Marion (2007). The Cambridge companion to ballet. Cambridge University Press. p. 164. ^ Chaĭkovskiĭ,, Modest Ilʹich; Jeaffreson Newmarch, Rosa Harriet (1906). The life & letters of Peter Ilich Tchaikovsky. J. Lane. p. 735. ^ a b c Latvian National Opera (2002). "Synopsis". Press release. http://www.music.lv/opera/ballets/gulbju_ezers_2002/default_E.htm. Retrieved 2008-06-03. ^ a b c d Rosen, Gary (1998). "Swan Lake: An Historical Appreciation". Swan Lake programme (Cape Town: Cape Town City Ballet). ^ "Repertory Index — New York City Ballet". Nycballet.com. http://www.nycballet.com/company/rep.html. Retrieved 2010-02-03. ^ The correspondence is drawn from http://www.rohedswanlake.org.uk/pgs/main/news_story.asp?id=2, which describes a four-act play. Drigo's version of the ballet is in three acts. ^ Annie D (2009-09-06). "Anime Swan Lake". Cbl.orcein.net. http://cbl.orcein.net/swanprincess/misc/anime.htm. Retrieved 2010-02-03. Swan Lake: Free scores at the International Music Score Library Project. This article is licensed under the GNU Free Documentation License. It uses material from the Wikipedia article "Swan_Lake". Allthough most Wikipedia articles provide accurate information accuracy can not be guaranteed.